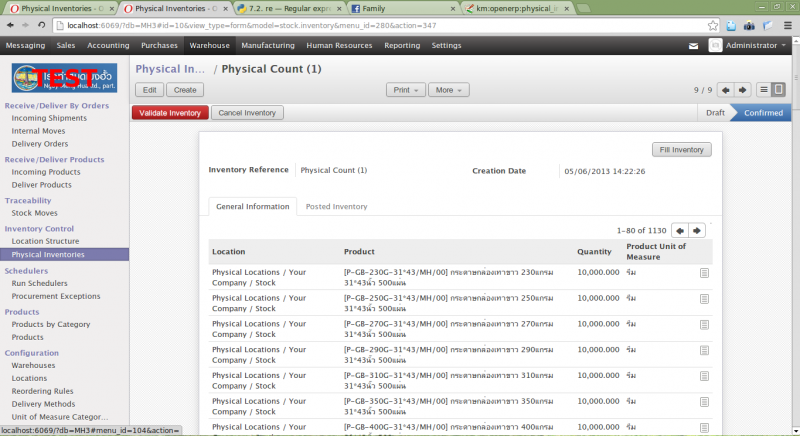 After stock is count we can adjust the physical inventory easily using Physical Inventories window. Use Fill Inventory to fill the stock. Please note that, this only work for product that already has some movement.